Red-G Tonic Korea red ginseng tonic consists of Korea red ginseng as main ingredient with rigorously selected Angelica, Cnidium, galgeun, fruits, dried ginger, brewed meticulously using traditional methods. Red-G Tonic includes vitamin B1 and vitamin C and combined with its natural ingredients. 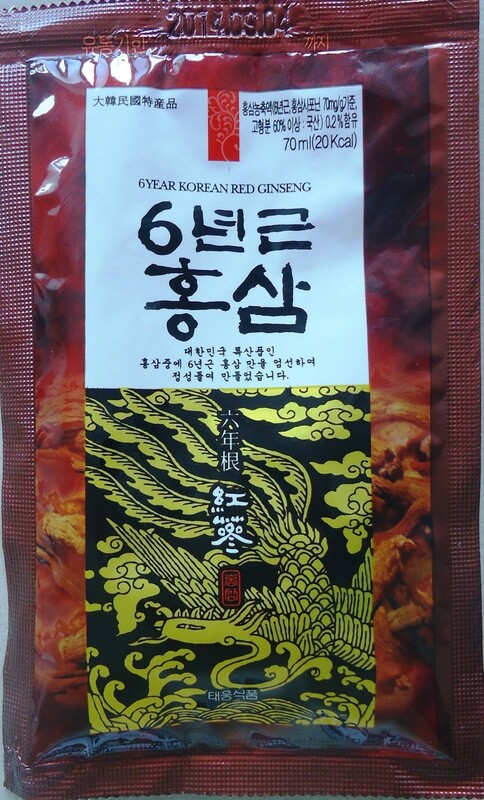 Korean red ginseng, Angelica, Cnidium, Galgeun, fruits, dried ginger. Twice daily. One pack each time. (Drinking it heated will help absorption).